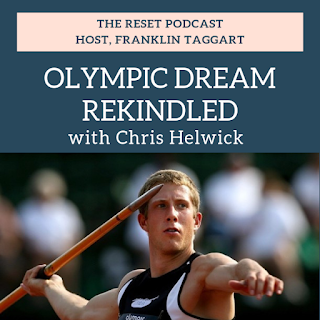 In 2012, decathlete Chris Helwick retired from professional track and field after a successful career. In both the 2008 and 2012 Olympic trials he had placed in the top 10 finalists, needing to be in the top three to compete in the Olympics. After retiring he tried his hand at business, and took some time to travel, eventually returning to his Colorado hometown. A random comment from an acquaintance led to a strange sequence of events. Beginning with a deep analysis of his own movements, he began to understand new levels of performance potential, and started to wonder if this could make the competitive difference in a run for the 2020 games in Tokyo. I don't endorse many products, but when ZOOM came along, it totally changed my online videoconferencing experience. It's stable, reliable, and easy to use. All of the interviews you see and hear on Make Your Own Way are hosted and recorded on ZOOM. Don't wait. It's a no brainer. Sign up for it here!